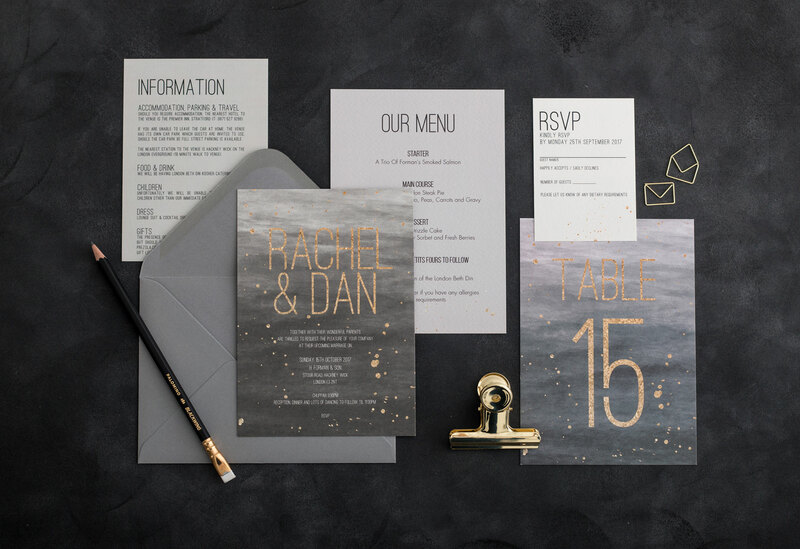 I designed my house collections with the style conscious bride and beautiful simplicity in mind. 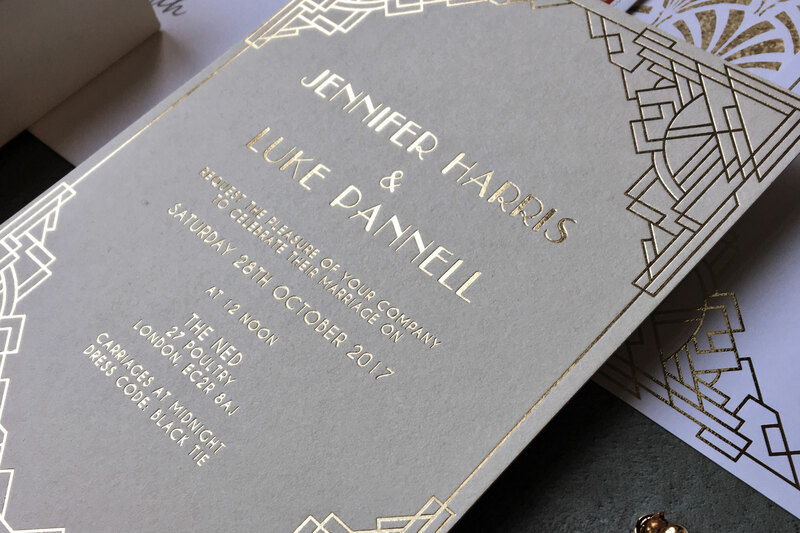 Unfussy, layered, textural and luxurious – using the highest quality materials and printing processes. Each of the designs has been hand drawn and designed by me, here in my studio. 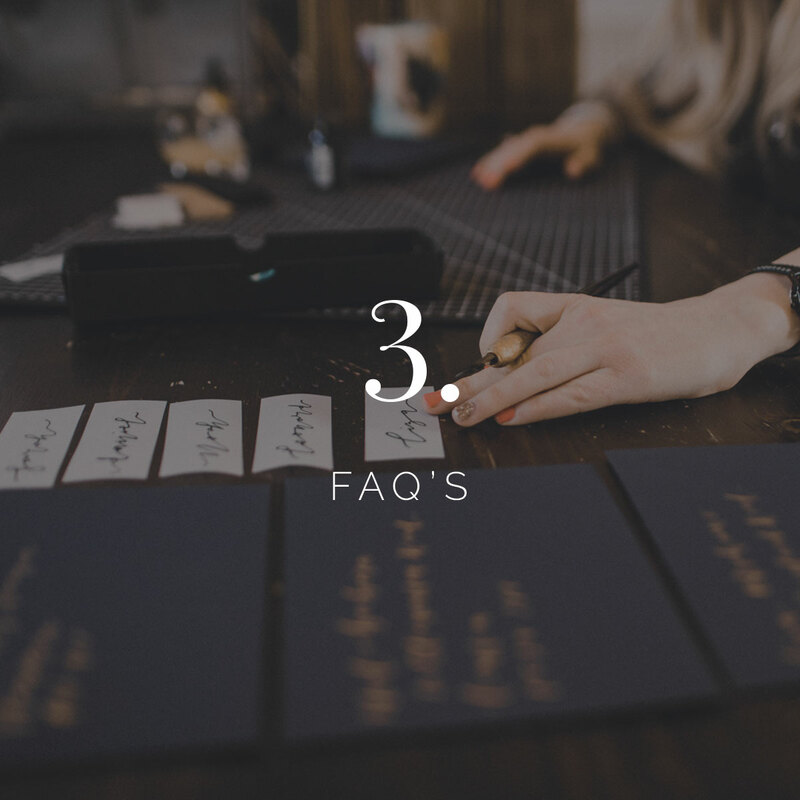 I often refer to my customisable ranges as ‘custom without the price tag’. 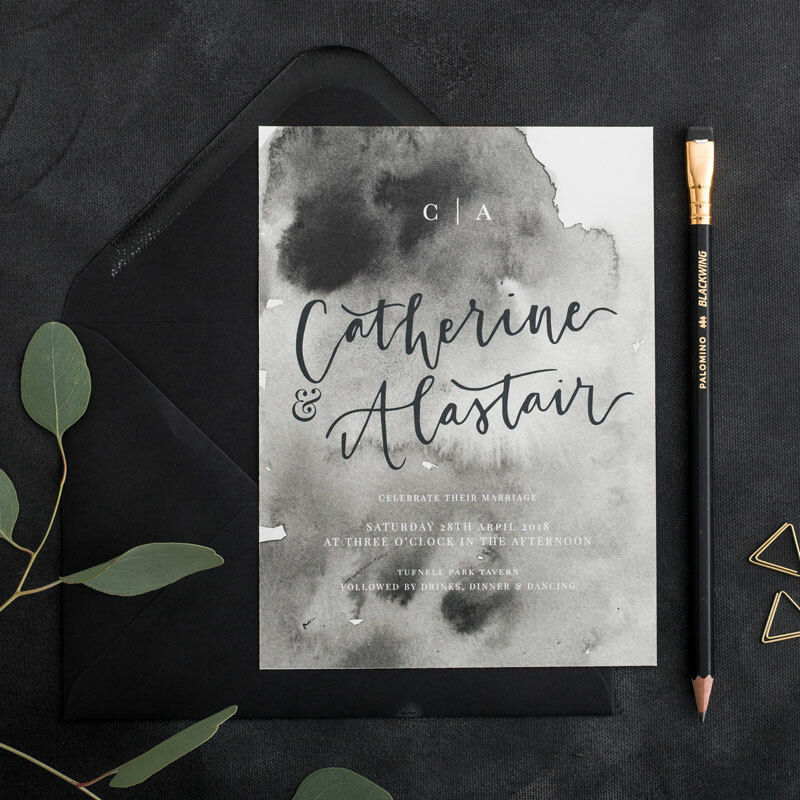 Each suite is fully personalised to each couple – colours can be matched to your scheme or theme, wording can be amended to make it more or less formal – and each piece of personalised calligraphy is hand written for you. 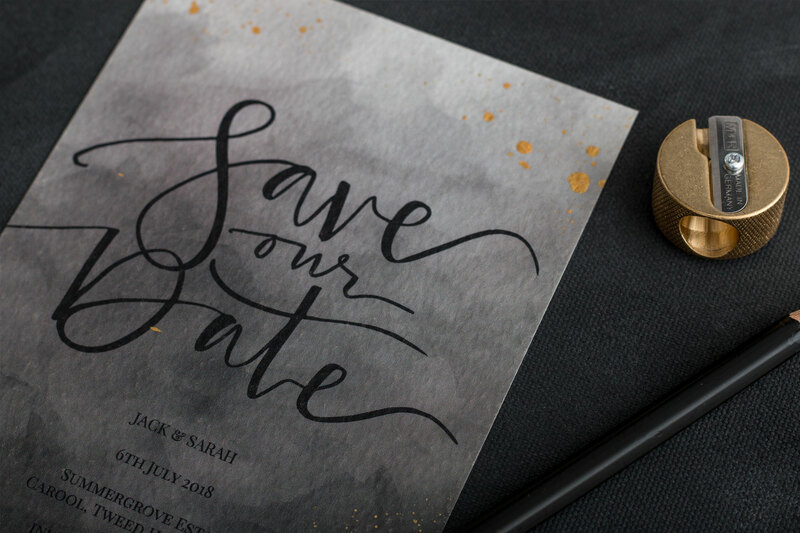 I work with you, using your inspiration to create an invitation suite that is as individual as you are. 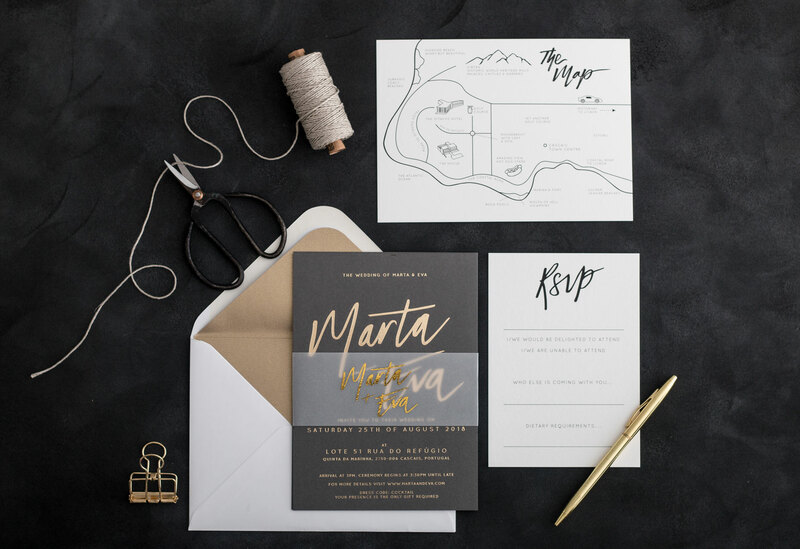 Creating your invitations with the Golden Letter is a collaborative and visual process. 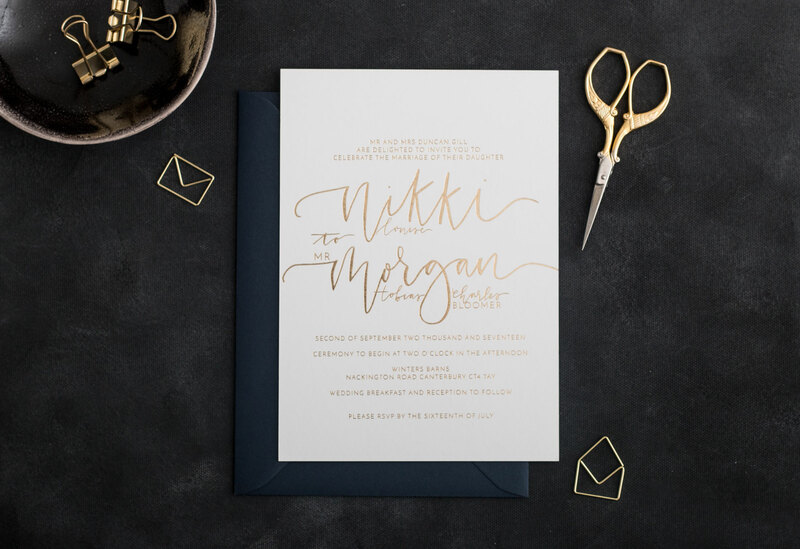 While we work from a design framework, the calligraphy, colour and design of your invitations is bespoke to you. No two suites are alike. 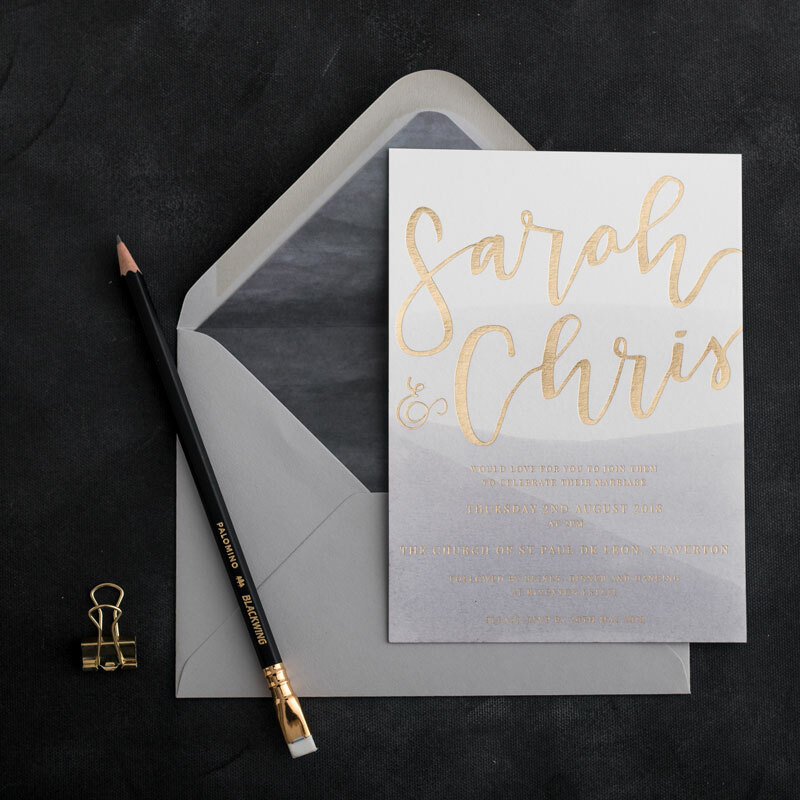 I like to get to know my couples so that I can produce stationery that is a perfect representation of you and your day. 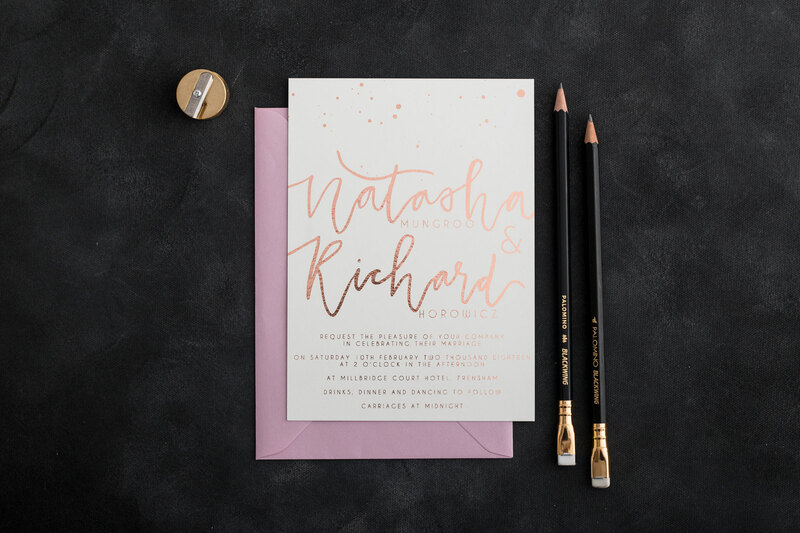 As part of this customisation, our invitations can be printed in a variety of printing methods to suit all budgets, and these can be mixed and matched throughout the suite. 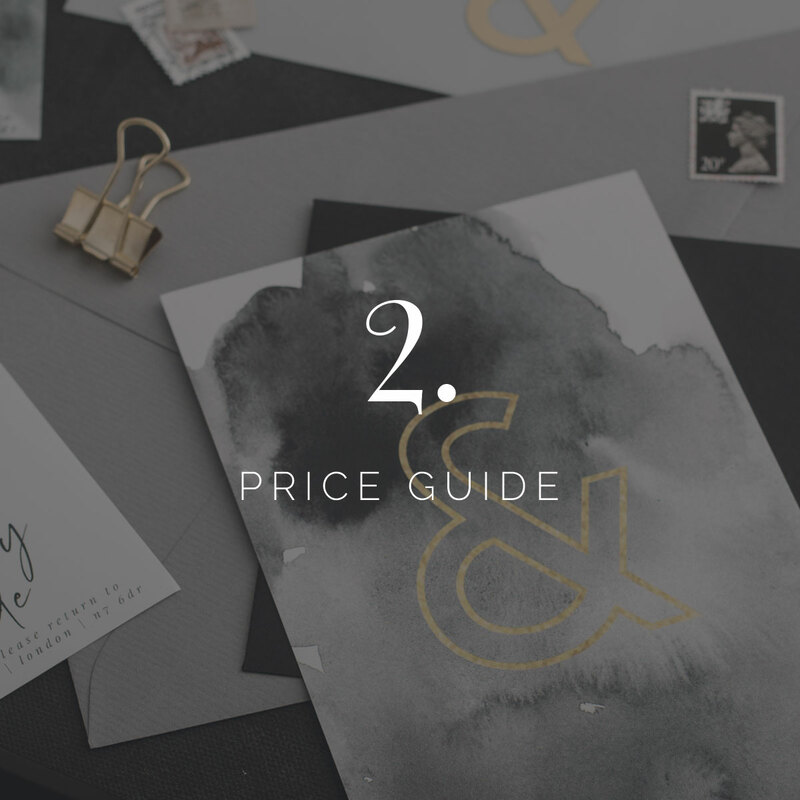 Sample packs of all our printing methods are available to purchase here. Our signature style. 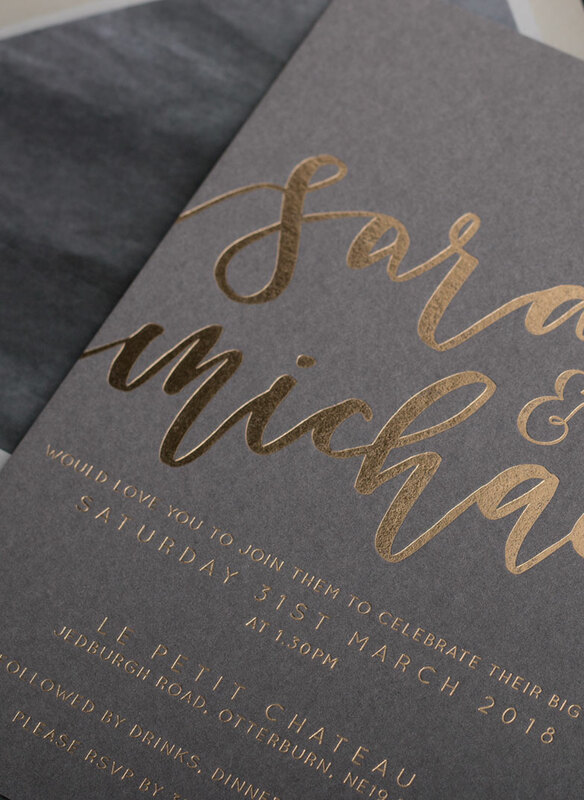 Similar in process to letterpress, hot foil leaves an embossed impression on the card. 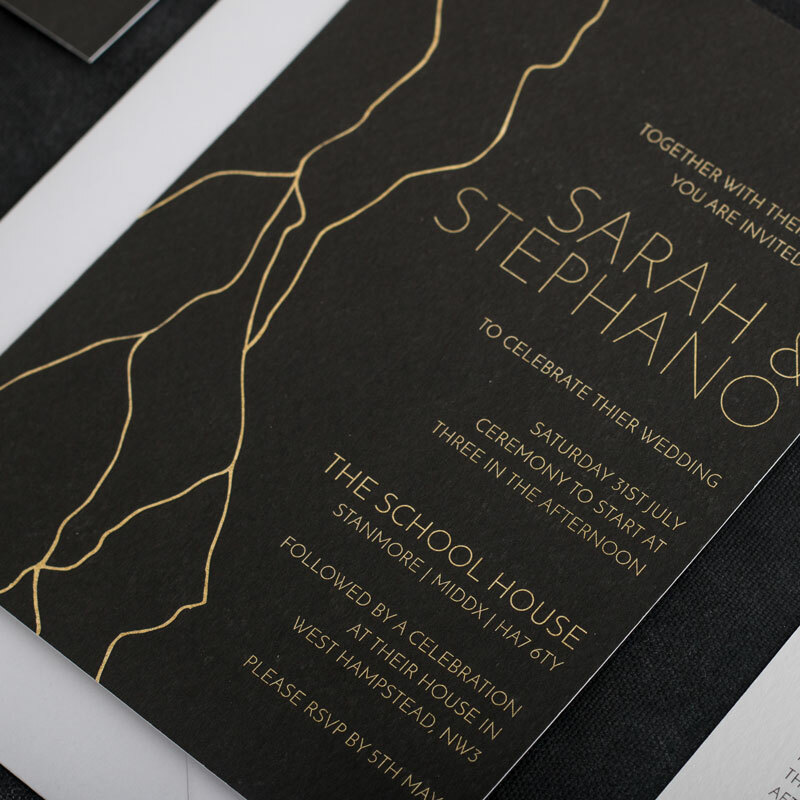 Our hot foiled invitations are printed on luxurious 540GSM colorplan board, or can be combined with digital printing. 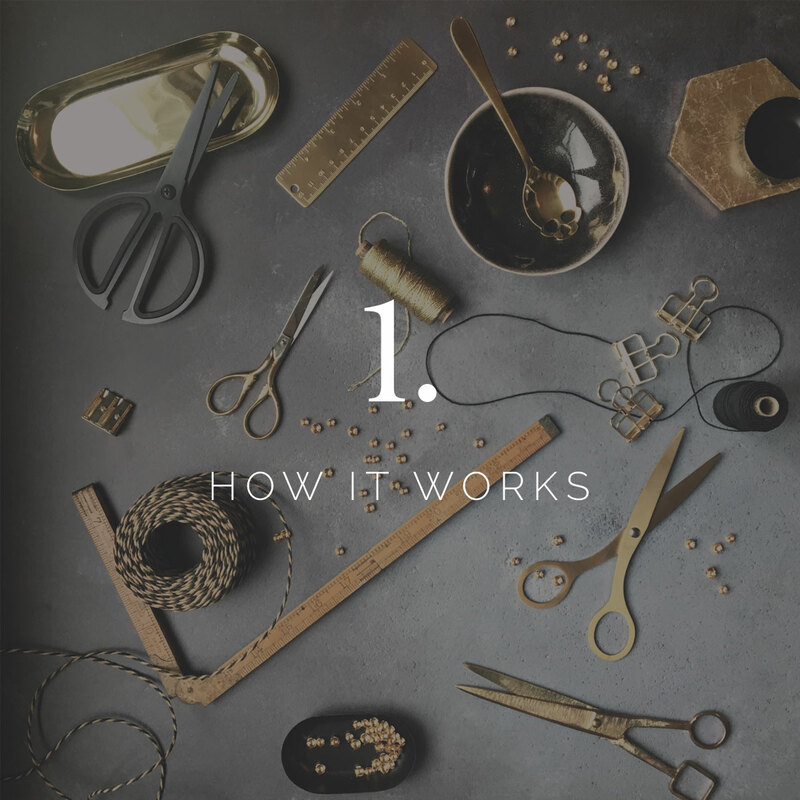 A more budget conscious alternative if you would like to add some metallic elements. With a mirror finish it looks striking. 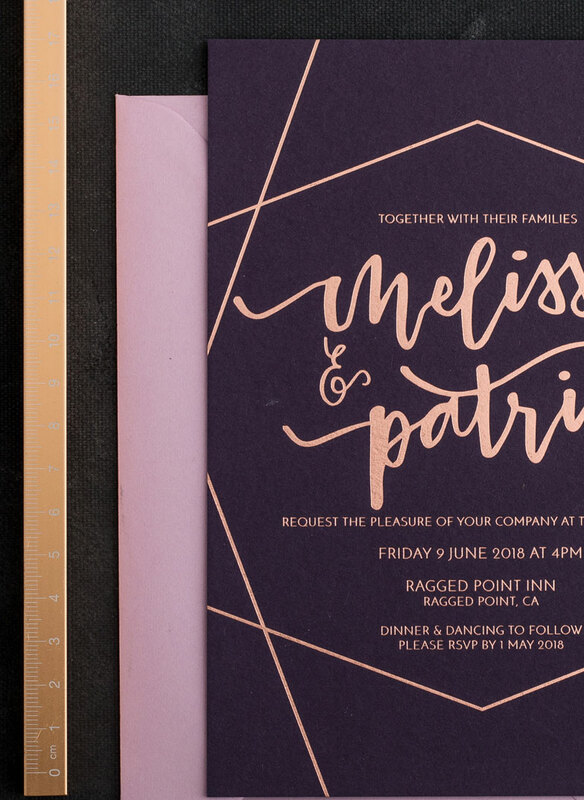 Our laser foiled invitations are printed on double thick card in a variety of colours. 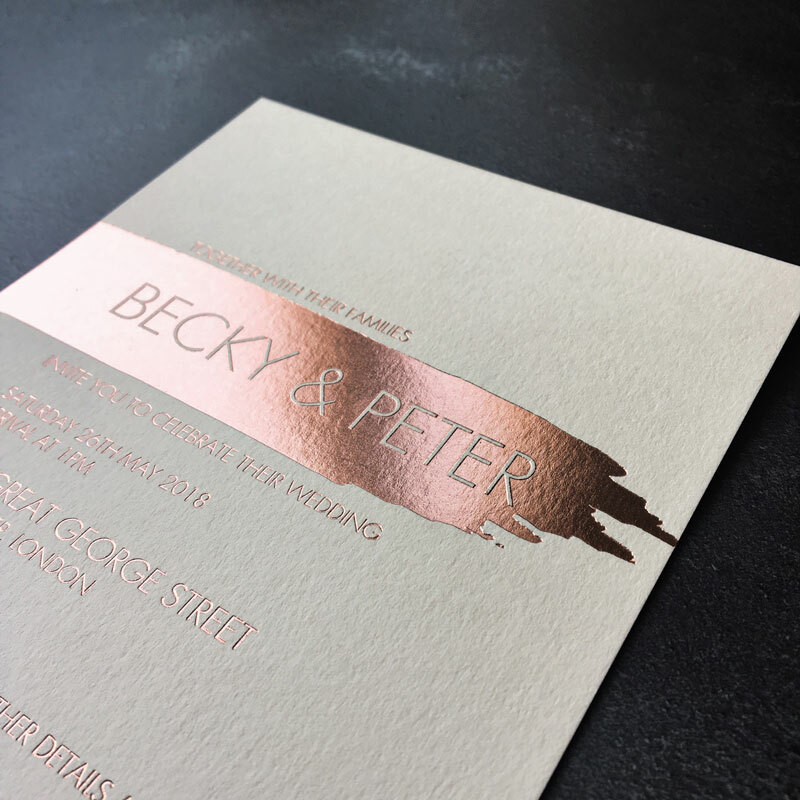 We love digital printing for its unlimited colour options, and for your inserts to accompany foil. 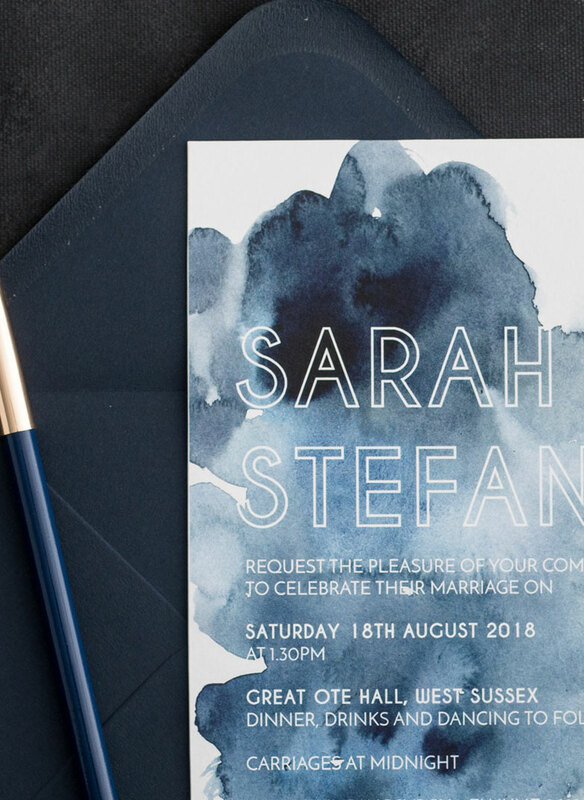 Our digital invitations are printed on a choice of papers and card and materials, including vellum and printing with white ink.